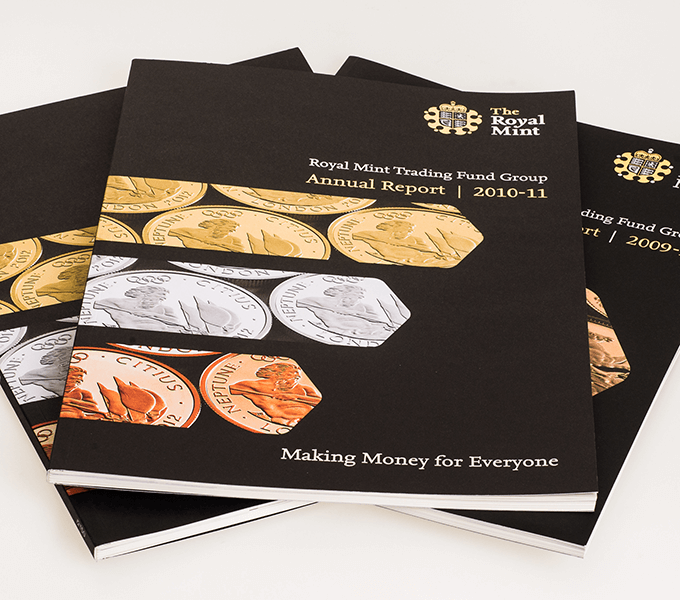 In 2010 the Royal Mint’s accounting rules and corporate structure changed, with The Royal Mint Limited being wholly-owned by HM Treasury. 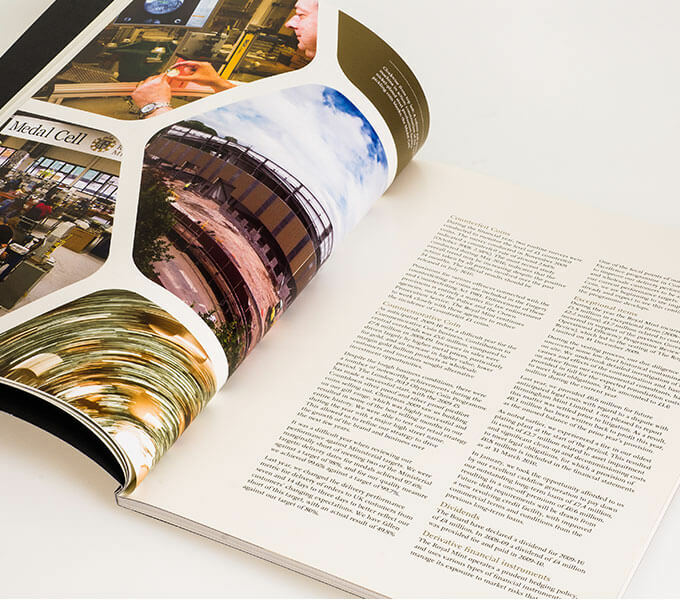 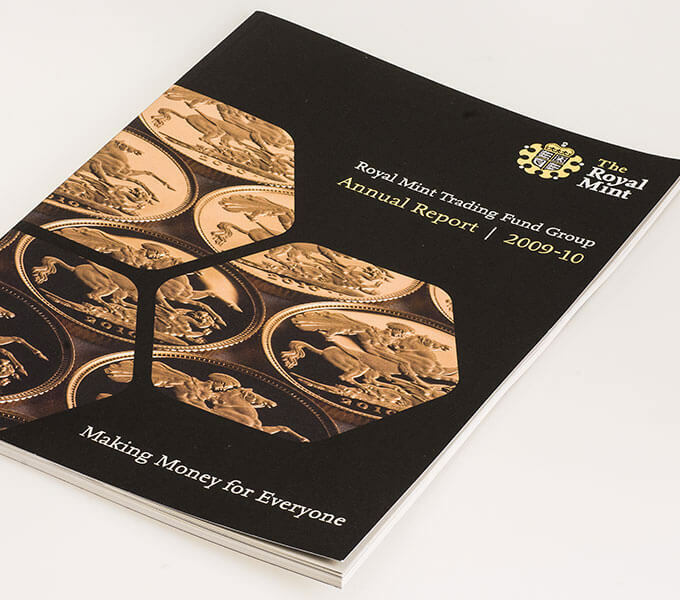 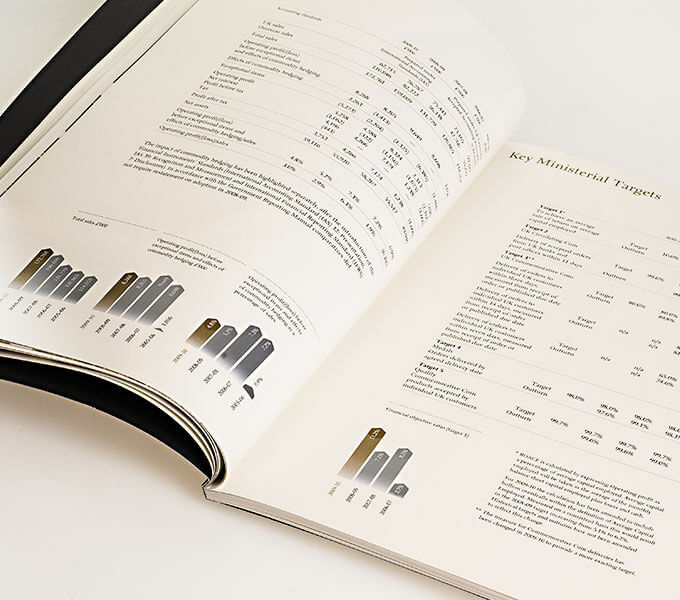 To reflect this change Tuch were engaged to design the The Royal Mint Trading Fund’s 2009-2010 Annual Report. 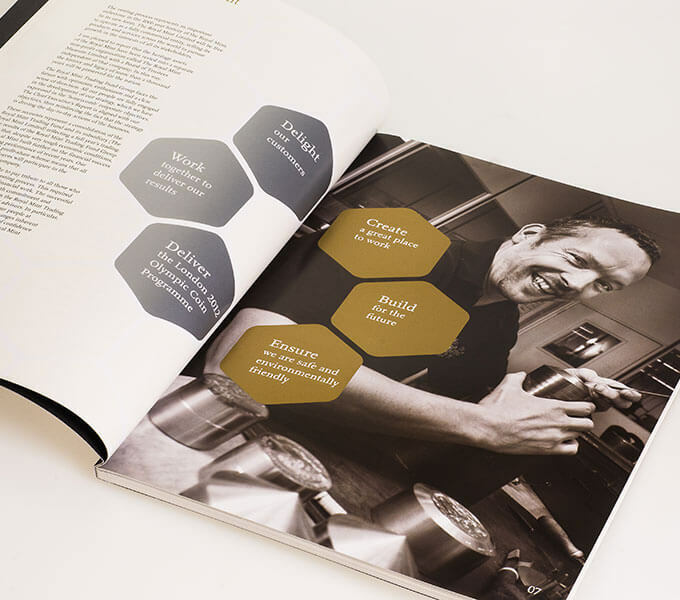 Our graphic solution reflected the Mint’s 6 objectives in a honeycomb theme, used as a watermark, in charts and also as a modular device to contain and unite a variety of imagery. 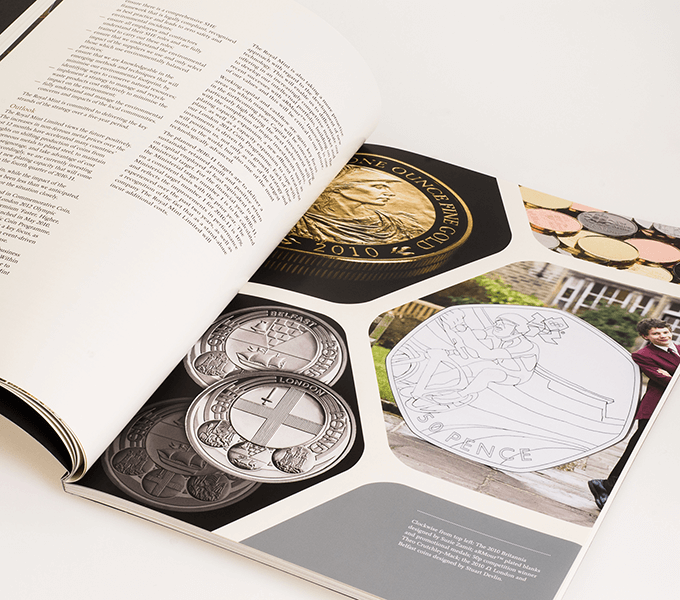 The resulting 80 page report was well received and we were engaged to design and produce the 2010-11 Report, which included the logistics of providing advance indigo copies for laying before Parliament and for The Stationery Office requirements.